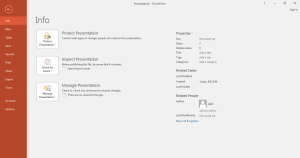 MS PowerPoint 2016 Interface | Tutorials Tree: Learn Photoshop, Excel, Word, Powerpoint and Wordpress for free online. 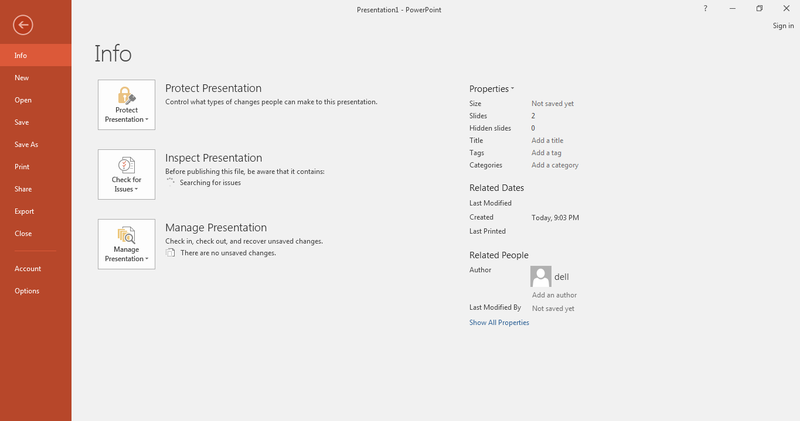 Once you have selected the template or a blank presentation option, your presentation will open. The file gets created with the default name and you can save it as the required name. 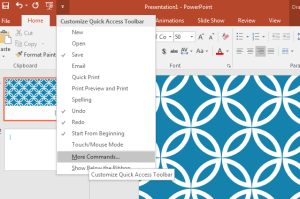 All files being created and saved in PowerPoint are called Presentations. 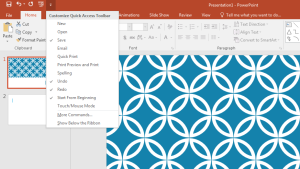 Ribbon: To get started you will have to look for options to create, open and save your files. 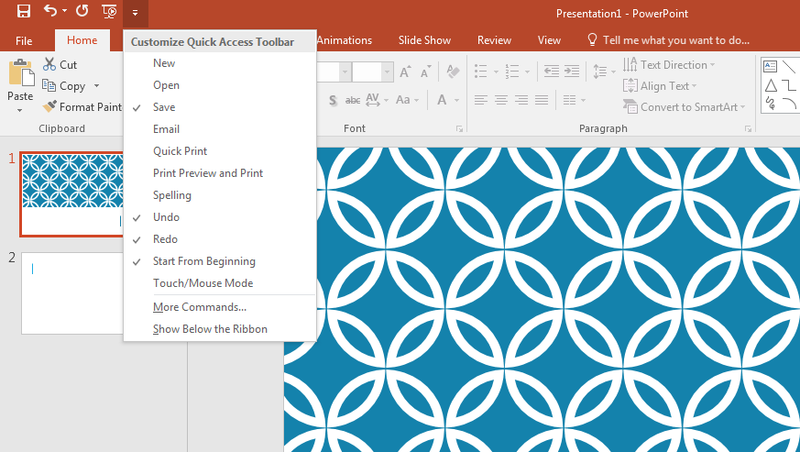 For these options, you will find the corresponding options in the File Menu present at the beginning of the Ribbon. This feature lies on the top of the screen with the other tab options.It will help you in finding the options and commands related to your query. 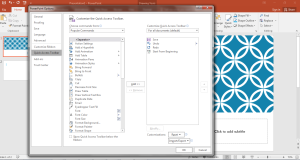 You can simply type your query and it will give you the list of different options. You can use these commands directly from the menu. Quick Access Toolbar: This is the topmost toolbar located above the Ribbon. This contains the options that can be used frequently directly from this toolbar. The commands which are present by default are Save, Undo, Redo and option for Start from the beginning. 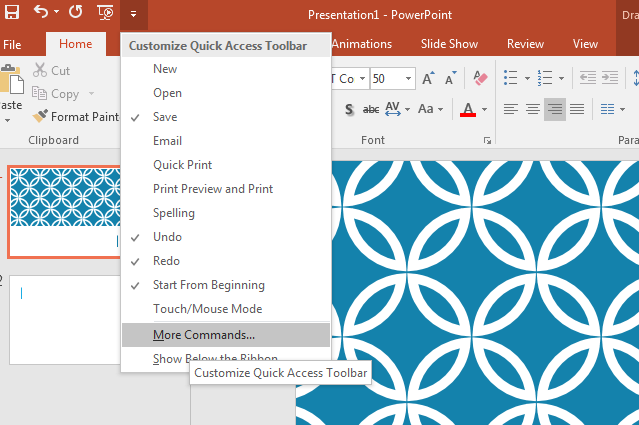 If you want to add more options to the quick access toolbar, click on the arrow at the end of the toolbar. You will get options that you can add in the toolbar. 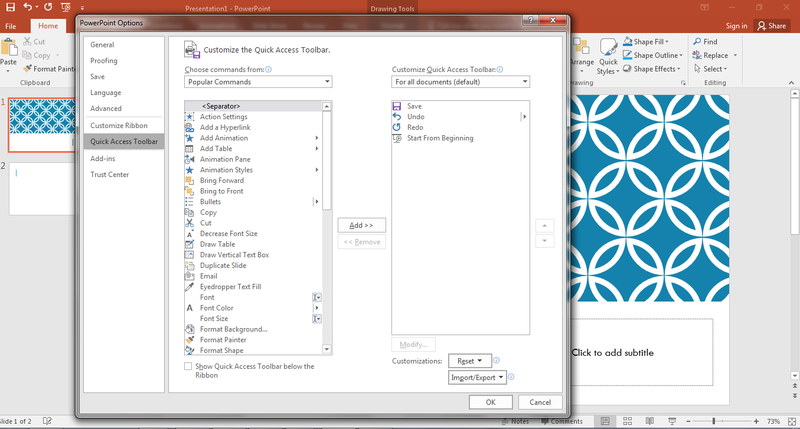 Select all the commands that you need and these will be added to the Quick access toolbar. If you want to explore more commands, select More commands.. from the list.